Are you looking for a new Sofa? Take part in our competition for a chance to make a #VitraSofa your own. 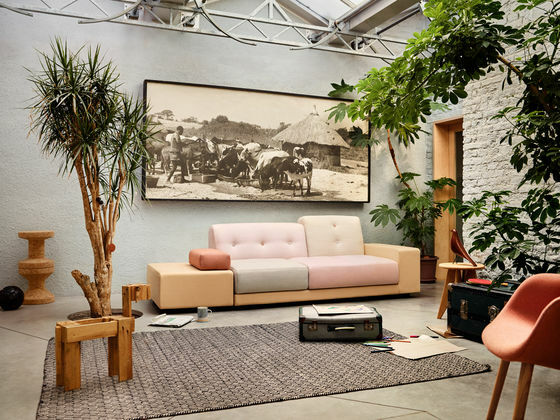 Get inspired by the sofas of the Vitra Home Collection and select your favourite image from the 4 sofa specials below. Download your selected image and create a collage of yourself and your friends and/or family on the sofa. Share your collage on Instagram or Facebook (make sure you‘ve set your Instagram or Facebook to public) with the hashtags #vitra, #VitraSofa and #YourCity and don’t forget to tag @vitra and the people in the picture to participate in the promotion. The competition runs from 1 October, 2018 to 15 March, 2019. The winners will be announced on 29 March, 2019. Read the Terms & Conditions for detailed information. The four sofa specials – which is your favourite?